In times of war and revolution comes to strange reversal, when brave and noble qualities appear. Therefore, the second world war does not cease to fascinate me examples of unimaginable courage and contempt for death. These are examples of crazy brave deaths that I managed to collect. Please leave a comment if you know another example. 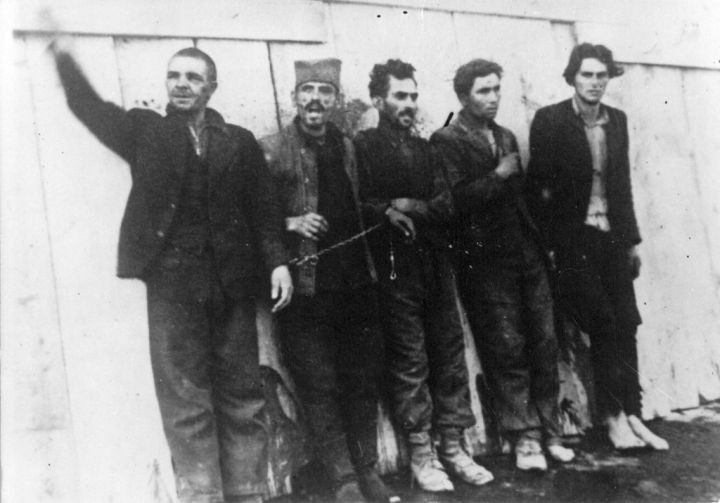 Executions 12 SKOJ members (communist youth) in Bečej on 11 November 1941 by Hungarian fascists. 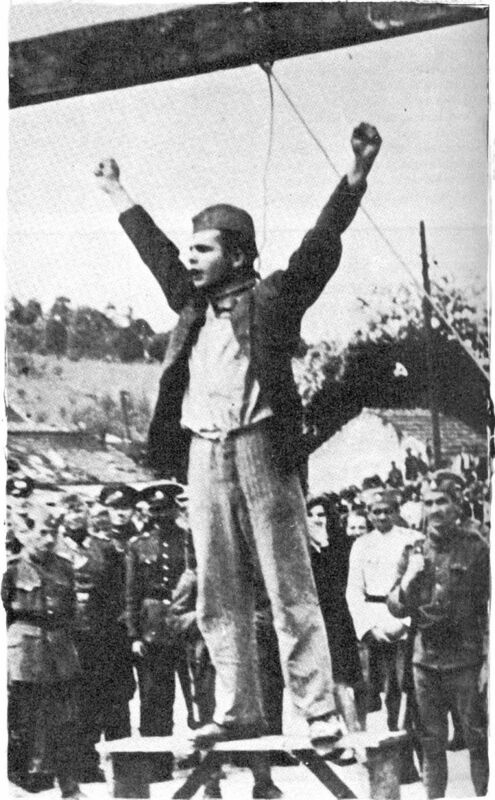 The guy holding the raised fist is Milan Gavrić, a member of the SKOJ (Communist Youth). 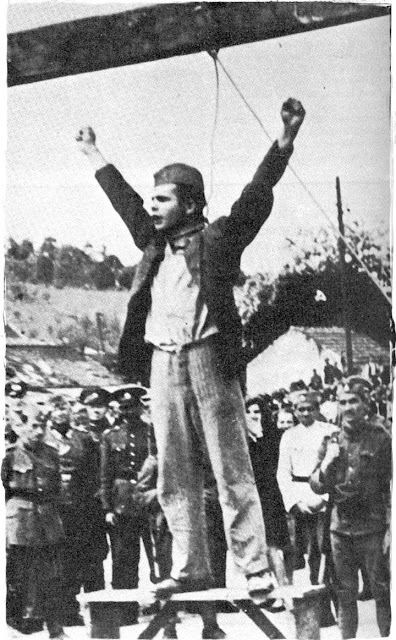 According to another interpretation, the fist is held by Labud Pejovic, the secretary of the District Committee of SKOJ. A moment after this painting was recorded, Pejovic stood up and cried: " lived The Communist Party of Yugoslavia - Death to Fascism!" He was immediately shot. The legendary photo that is now at the United Nations headquarters, and became a symbol of resistance to fascism in World War II. 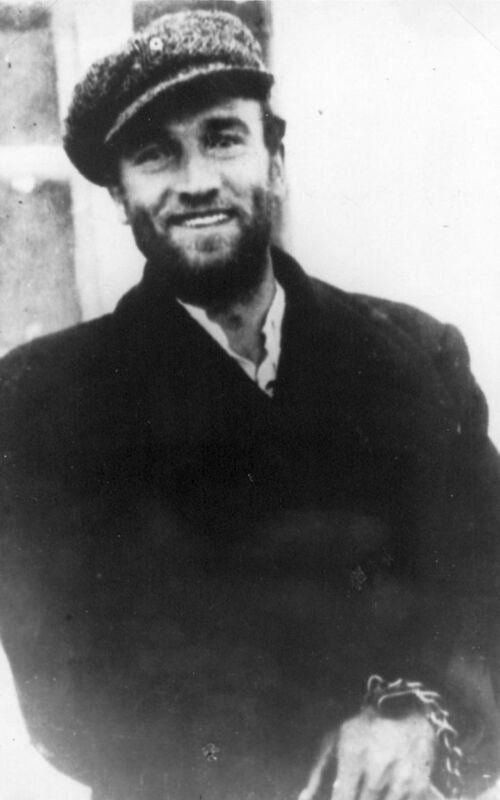 Stjepan Filipović Stevo was the commander of the company of the Valjevo partisan detachment, captured after the breakup of the uprising in Serbia in December 1941. 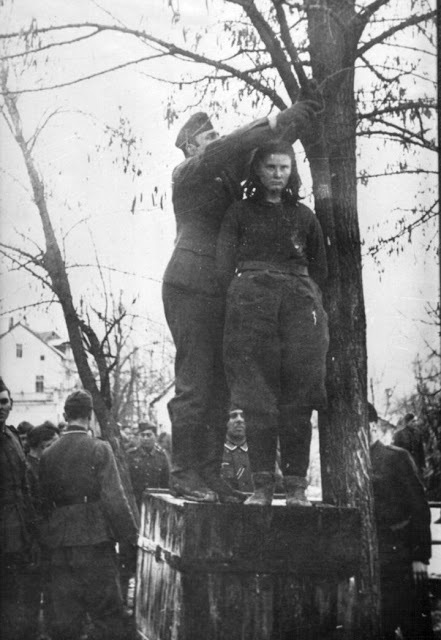 He was hanged in Valjevo on May 22, 1942, after months of torture and futile interrogation. While preparing him for testifying, he called the people to an uprising, and was executed 15 minutes earlier than anticipated. 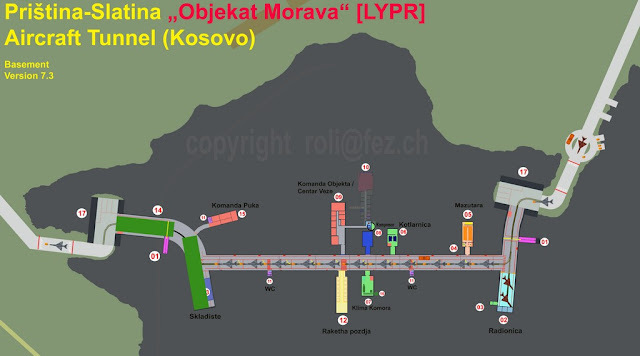 It is believed that his holding influenced the decision of the German occupying authorities to give up on further public hearings on the territory of Serbia. 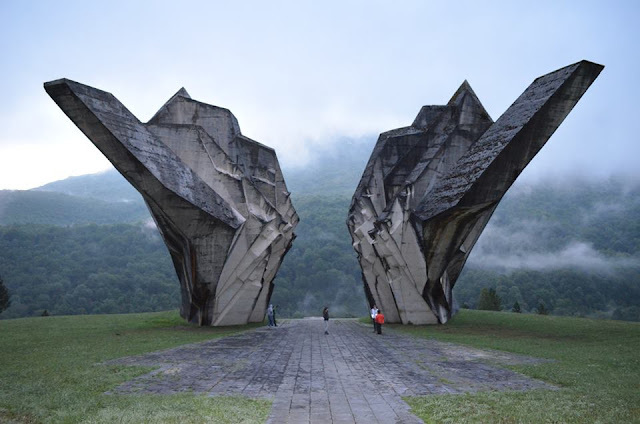 Cedomir Cupic called Ljubo, was commissioner troops in Niksic partisan detachment. He was captured in April 1942, during the third hostile offensive by the Italians and Chetniks against the Partisans in Montenegro. This photo was created on May 9, 1942, before he was killed ... it seems completely unreal because of his casual smile. If we did not know the circumstances, we would think that it was a picture of a prisoner who was released. If you thought that he was just accidentally smiling at that moment, there is another photo. 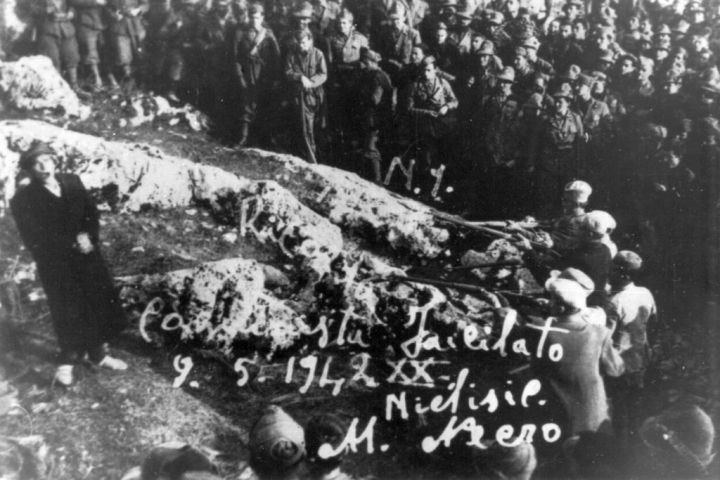 On it Cupic singing front of the Chetnik firing squad, and Italian soldiers gathered. This is one of the least known photographs of the Second World War in Yugoslavia, although it has been present for a long time in the museum. 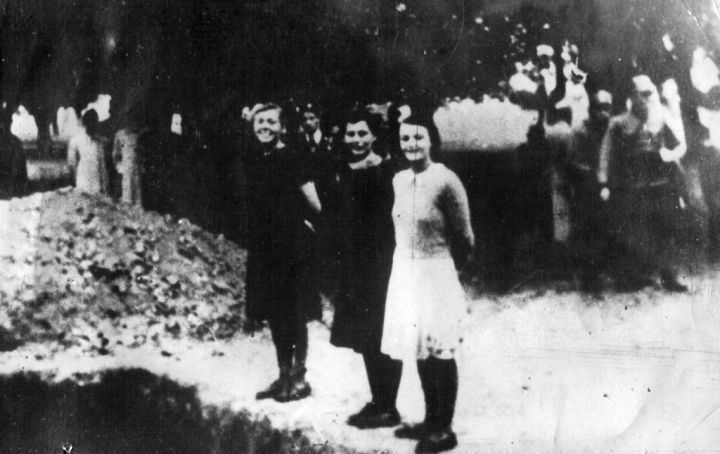 The three youngsters in Zagreb stand in front of pit, their tied hands, and laugh at the time before they shoot them. Photo works almost as a joke, where the silly girls set up a false scene of executions to be photographed. However, the whole environment is extremely serious, starting with soldiers in the machine on the right, through an officer whose head is seen between the first two young men and some workers or captives in the upper left corner of the photo. 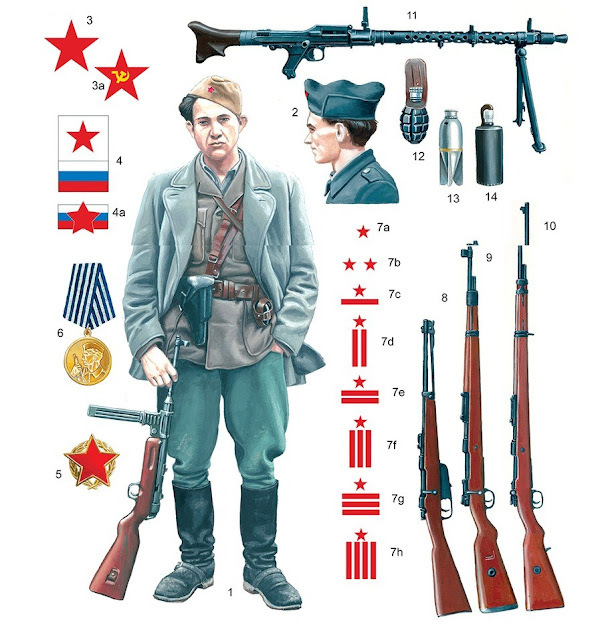 Lepa Radic was a fighter of the Kozara Partisan Detachment. In February 1942, during Operation Weiss, members of the SS Division Prince Eugen captured alive, despite their defensive resistance, while protecting the withdrawal of refugees and wounded. On the scaffold she had been offered a pardon if it detects the Communists among the captured people. The beautiful woman replied: "I am not a traitor to my people. They will reveal themselves when they're destroying villains like you! "She was 17 years old. September 1941. 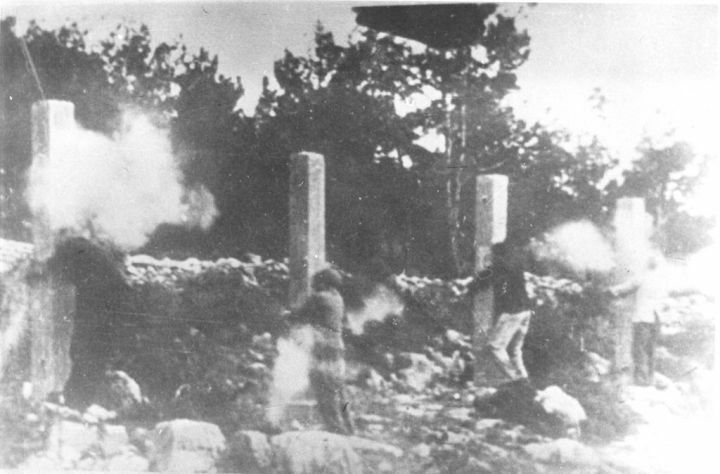 Visibly exhausted, captured Serbian partisans against the German firing squad in the Cuprija and continue to resist. The first holds a fisted fist, and the other sees slogans. 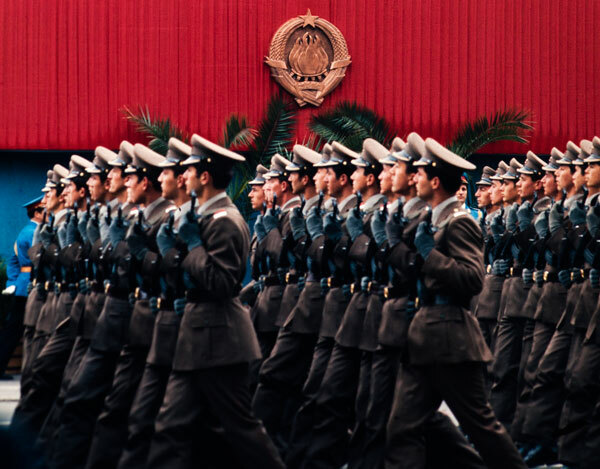 These are the fighters of the Paracin-Cuprija company. Rade Koncar was secretary of the Communist Party of Croatia and organizer of the uprising in Dalmatia. He was arrested on November 17, 1941, and sentenced to death by a special Italian court. When asked if he wanted to seek pardon, he replied: "I do not ask for mercy, nor would I give it to you!" He was shot on May 22, 1942, in Sibenik, along with 25 other anti-fascists. 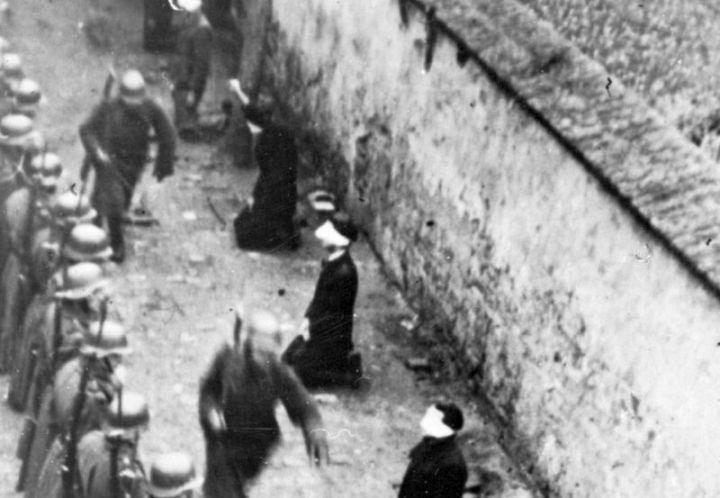 Before firing squad shouted: "Cowards, shoot in the chest!" Please release the youngest Communist sentenced to death by shooting, and in his place to put me in. 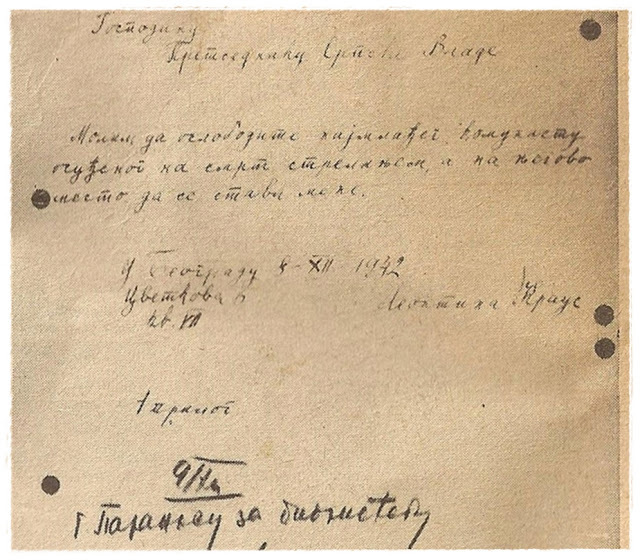 In Belgrade, 8 XII 1942. g.
Leontina Kraus was a retired Belgrade teacher who sent letters to Milan Nedic during the occupation, demanding that instead of the youngest Communist prisoner she was shot dead. Her wish was only partially heard - she was arrested on December 19, 1942, and after she was detained in the Banjica Camp on June 7, 1943, but no one was released for her.